What determines the direction of evolutionary change? This book provides a revolutionary answer to this question. Many biologists, from Darwin's day to our own, have been satisfied with the answer 'natural selection'. Professor Wallace Arthur is not. He takes the controversial view that biases in the ways that embryos can be altered are just as important as natural selection in determining the directions that evolution has taken, including the one that led to the origin of humans. This argument forms the core of the book. However, in addition, the book summarizes other important issues relating to how embryonic (and post-embryonic) development evolves. 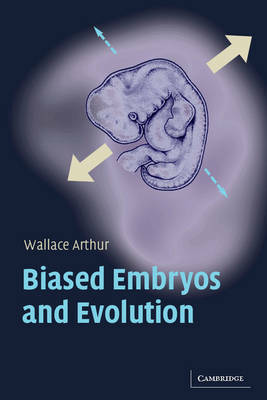 Written in an easy, conversational style, this is the first book for students and the general reader that provides an account of the exciting new field of Evolutionary Developmental Biology ('Evo-Devo' to its proponents).